Kezia Dugdale MSP, candidate for Deputy Leader of the Scottish Labour Party, writes about making the Living Wage a reality across Scotland. This morning I met with Standard Life to discuss the living wage, and the importance of their accreditation in the last six months as a living wage employer. 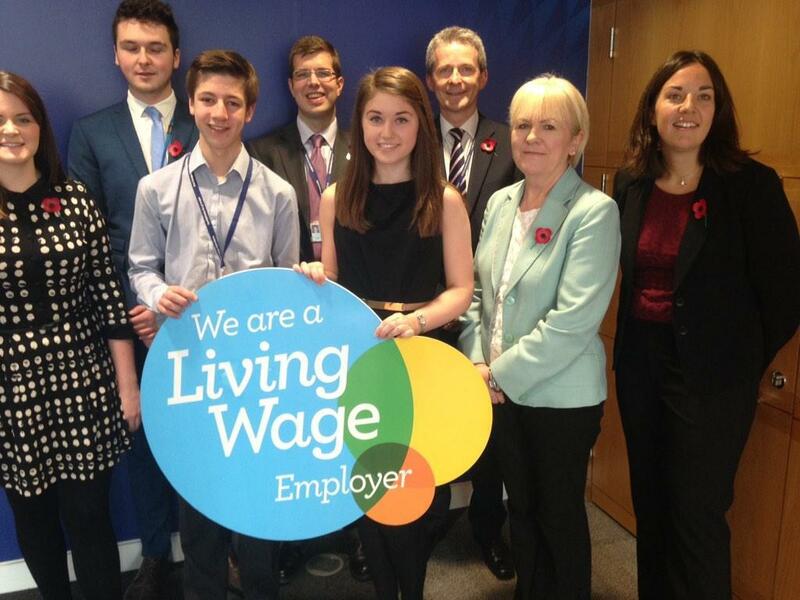 How the living wage becomes a reality throughout the private sector depends on this, turning employers into advocates. No one working in their building now earns less than a living wage, whether employed by Standard Life or not. They are one of over 1000 employers across the UK accredited as a living wage employer, more than double the figure a year ago. The business case for the living wage is becoming harder to deny for many, and it’s hoped there will be 5000 accredited employers by 2020. This is a long way from 1999, when the Conservatives and many in the business community wrongly opposed a national minimum wage, thinking it would cost jobs. But 15 years on from when a Labour government established the minimum wage, and for the first time ever, the majority of people in poverty are now in work. That’s 6.5 million people in the UK, earning less than 60% of the median income, working to stay poor. This continues to our shame, not just as elected representatives of many working poor, but as policy makers. The case for repeating the slogan ‘make work pay’ again and again isn’t only moral, it’s economic too. Reduced absenteeism, increased staff retention and greater productivity have all been noted benefits for employers. This week, events across the country as part of Living Wage Week will continue to promote the campaign for the lowest paid workers in our country, while 60,000 people earning a living wage will see their pay uprated. 23,000 have already benefited from £48 million in additional wages to September 2013. Many of the 1.2 million workers still on the minimum wage – twice as many as when it was implemented in 1999 – will be following the campaign’s progress closely, but low pay is not the only problem they face. Jobs and the job market have changed in the decade-and-a-half since the minimum wage was first set at £3.60. Greater job insecurity, over 1.4 million workers on zero-hour contracts, and union membership at its lowest recorded level in two decades have all eroded workers’ confidence that their hard work will be recognised and rewarded. And while pay falls and employment conditions are under attack, the first rung of the housing ladder only gets further away, and people are commonly paying twice as much for childcare as for their rent. The campaign for fair pay for a fair day’s work then continues, and this must be front and centre of our movement, our politics, and our purpose. In Scotland, over 400,000 people make less than the living wage of £7.85 per hour – they are looking to politicians like me to speak up for them. As an MSP, I have been outspoken about the need for tougher government action on the living wage. This included calling on the Scottish Government to establish a Living Wage Unit, to promote the living wage and report to parliament on its progress. This record will continue if I am elected deputy leader, and I will seek to go further, calling for the establishment of a fair work unit in government, which will also work to promote the living wage. Recognising their error in opposing the minimum wage, even Conservative party voices now recognise that the time for the living wage has come – we cannot afford to let that time pass us by. I am proud of our party’s record when it comes to public procurement. We should use the buying power of government to deliver social change, and I believe that the SNP have continuously come up short when it comes to political will on this. However, whilst we continue that work of making the SNP listen, we should also renew our focus on the private sector where serious progress can be made.